I haven’t really been very active with XboxVids1080. And in my defence neither has Jack! I recently recorded a whole 10 game season, all with visual commentary from myself. The file magically corrupted by the time it came to edit, leaving just one game, so i thought i might as well delete the whole thing. The way around this for future is to stop and start the recording before each match instead of just letting it run. The main problem i’m facing is that the content isn’t fresh or exciting. What can be done? At the moment i’m having FIFA blues.. losing all the time, streamed video isn’t working. waaaa. 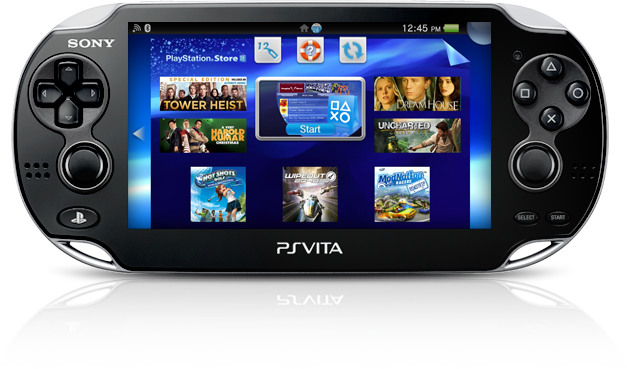 On the plus side i have ordered a Playstation Vita. FULL REVIEW SOON! I have Virtua tennis 4, Rayman, and Uncharted to try so i’m sure i will be kept busy! Cannot wait to be honest, it’s my first foray in to the handheld market since the 2nd generation Nintendo DS, which was great for Pokemon, and not so great for everything else (in my opinion). I’m just hoping more games are released for the VITA, but hopefully it’s going to be a tool to be used in tandem for the PS4 which i will probably be investing in to also.